Corporate gifts are a great way of impressing your clients and potential clients. Promotional items allow you to sell and build your brand at your events. Promotional gifts communicate how much you value your customers. Wink promotions are a dynamic team of agents that provide promotional services and opportunities to enhance your sales and marketing strategies! Some of the services we provide here at Wink include: Corporate Clothing, Corporate Gifts; Embroidery; Screen Printing/Heat Transfer; Various Marketing Material; Promotional Items; Promotional Gifts; Importing and Exporting of items not found locally. As well as In House: Vinyl stickers; Dome stickers; House labels and House Branded Water. At Wink Promotions our goal is to provide and deliver all our products and services in a manner which emphasises our dedication to customer satisfaction. Through excellent and timeous deliverance of our services we strive to have many satisfied customers in all industries. We are in contact with all major importers of and for corporate and promotional gifts. With a good experience in the retail industry our knowledge on clothing and marketing items or gifts enable us to have a competitive advantage to our competitors and our experienced designers are able to customise art work in order to meet any design / illustration requirement you might have! 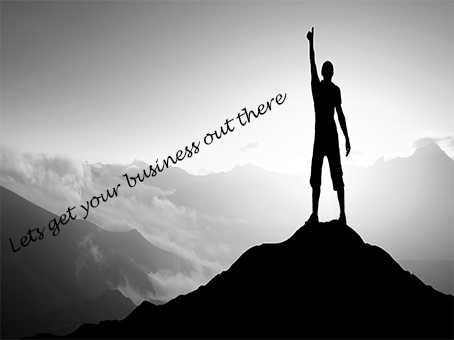 TIPS TO GET YOUR BUSINESS OUT THERE! Marketing is such an important tool of advertising these days and we believe that when done in the correct manner can benefit your company. One such example is by getting your companies brand recognised out in the public eye. Visual marketing has been proven over and again to be very effective. No one can dispute when you see a logo of a famous brand without thinking twice you know who they are. While all companies are not as famous as others by visually putting your “brand” out there, the hope is that you will be on a person’s mind immediately when thinking of the specific brand that you offer. At Wink Promotions we strive to offer you different ideas and tools to help advertise your business. It could be something as simple as uniform for your staff with your logos branded on them or maybe pens, mugs etc... Maybe your company is organising an event, golf day, end of year function? Let us help you with gift ideas or clothing for that day. Our professional sales team will help you with your ideas and follow through to the finished product. Perhaps you know of a charity event and you want to help, why not donate a novelty item like a key ring or something related to the market of the event with your logo branded on the item. It is a great way to advertise your company and at the same time give someone a gift. Stuck on what gift to give or what corporate/ promotional clothing there is out there, give us a call or make an appointment with our sales team, we will take the time and sit with you and help find the perfect item you are looking for! Quantity is key! – The larger the order of the same item the better the pricing is. Always check on stock availability before placing your order. Turnaround time plays a huge role and changes from item to item. Please remember that while the stock is available, time is still needed to put a purchase order through and for the stock to be pulled from the system and then collected. If you are going with branding your items, they all come with their own turnaround times. Stock will be from a.) The supplier and then will be taken to b.) The branding company – and depending what you are having done – pad print, engraving, heat press, embroidery etc… it could be anything from 5-7 working days on approval of all artwork. Once the branding has been done then we collect and deliver to you. Ensure that you have given sufficient time for the whole process to follow through; this way we can avoid any mishaps and mistakes. Obviously there are times where rush orders is inevitable and we will always do our best to accommodate where we can.